Don Henley bench ad on the Capitol Studios lot in Hollywood, CA. 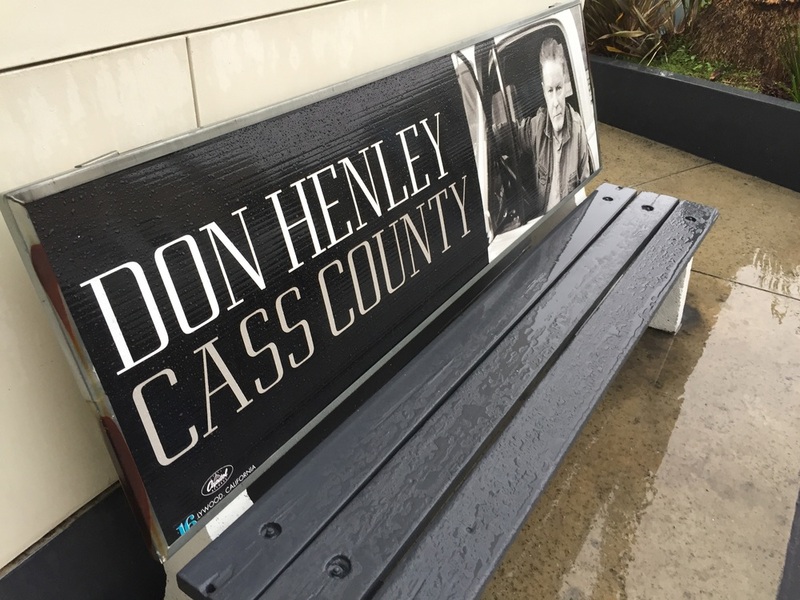 "I'm praying for rain" was a single recent release from Don Henley's latest album: Cass County. Sometimes prayers are answered. Don Henley was (sat) here?